Last year BWA had to turn away 73 people looking for that place of safety. That means for every victim we took in to refuge we turned 3 people away. Calls to our helpline grew by 58% last year. As the needs of victims change and recognising the positive changes in the level of understanding of Domestic Abuse in other agencies, BWA welcomes the opportunity to look at the balance of the way services are delivered in the area and believe that some changes can match local needs more effectively. Our experience shows that outreach is a very effective way of supporting many service users including the impact on children who witness the abuse. It may be however for some victims a place of safety or a “refuge” is essential support to prevent serious harm. For some it may be a short stay in a local refuge whilst other actions are taken to make them safe, for others to be safe they need to move many miles away from their old home. The Guardian reported last weekend that Sunderland is set to become the only major city in the UK with no refuge provision. Although no final decision has been taken by the council the local women’s aid organisation says they have been told by the council that their entire funding would be withdrawn from June 2017. This is a national problem and although the Government announced new funding for specialist accommodation last November, the application guidance states that the funding is for additional services and suggests it won’t fund services being cut by local government. We will be increasing our fundraising activities this year to try to protect the services we provide as much as possible – if you would like make a donation please go to https://localgiving.org/charity/berkshirewomensaid/ email info@bwaid.org.uk or call Amy/Helen on 0118 9500182. 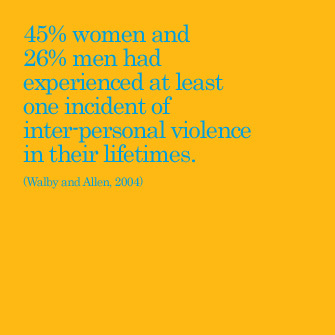 If someone needs support in coping with or leaving an abusive relationship or they just want to talk to someone, they can contact BWA on the helpline 0118 9504003, or they can visit www.berkshirewomensaid.org.uk where there is lots of information they can access. In this section of the site you can find information on the organisation, it’s vision and values as well as how to help and statutory information on BWA including accounts. This brochure provides an overview of BWAs work and its services as well as information on the organisation, its workload and its finances. The document is 2MB in size – download speed will depend on your broadband.